A common question for sales enablement leaders and sales trainers is how to integrate sales management software with mobile learning solutions. After all, your sales team is on the go, and you need a way to track what they’re asking for so you can give it to them. As it turns out, a number of vendors provide have optimized their LMS and/or sales enablement solutions for at least one CRM – Salesforce. In this post, you’ll learn about how you can use Salesforce for sales training, sales enablement and performance support. Salesforce hosts at least six LMS solutions on its App Exchange – NetExam, Blackboard, Litmos, Cornerstone, XCD HR and Learnsmarter. Costs range from anywhere between $1.50 to $75.00 per user per month of the apps that list prices, and the rest require you to contact them for more information. Additionally, Salesforce hosts six apps dedicated to sales enablement. These products – including the previously mentioned Blackboard – are Revegy Sales Enablement, Sales Coach Premium, MindMatrix, Stratascope and TinderBox. The sales enablement apps start at free and go up to $7.95 per user per month, but most require you to contact the company for pricing. If you’re using any of these products in addition to Salesforce but you haven’t looked at making the handshake between the two, many of these apps have received great reviews. However, if tracking learning or providing sales enablement tools within Salesforce is important to you and your enterprise – and you haven’t begun looking at your options – consider any of the products listed here based on your goals. Mobile learning is often defined by learning at the point of need, and several vendors offer up some solutions. Basically, we want to provide our learners with the least amount of help or dely in order to assist them with the task they need to complete at that time. Ontuitive offers “a tailored set of resources and guidance to sales reps based on the unique context of each opportunity in Salesforce.com” without needing to use a seperate portal or search function. The feature has had some time to bake, so to speak, since being unveiled almost six years ago. ScreenSteps provides a similar solution by allowing its users to post contextually relevant questions and answers. If neither of those solutions cuts the mustard for you, Salesforce lets you replace the default help link with your own. As you can see, there are a lot of options on the table when bringing sales enablement to your CRM, and none of them depend on typical LMS technology. 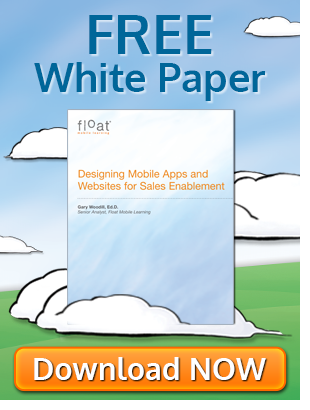 To get more information on how to use mobile learning for sales, check out the ASTD Infoline we wrote on the subject. 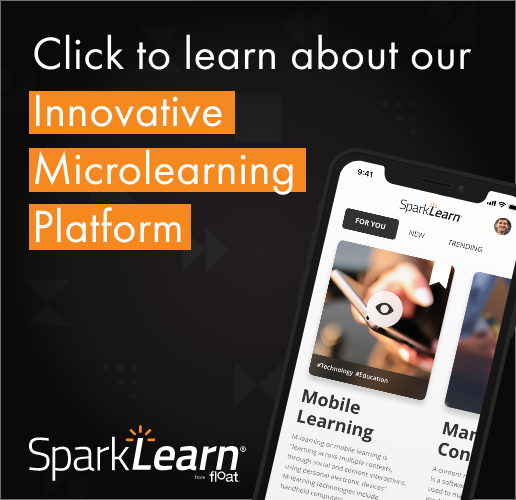 Please share your thoughts about how you integrate mobile learning and Salesforce in the comments. If you’d like to know more about what’s available for your CRM, let us know which one and we’ll see what research we can dig up.